The history of the movement "Show children the world" began in the year 2004 in Kirovsk and Apatity. The inhabitants got an opportunity to communicate with their mates from Newry in Northern Ireland. 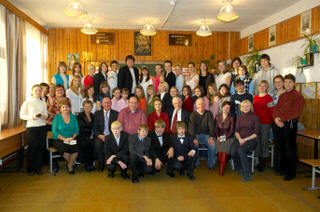 As a result the first visit of Russian schoolchildren to their foreign friends took place in 2005. It was exciting and useful for both sides. There were many interesting events, such as lessons in Newry Institute and excursion to Trinity College, that helped Russian children to learn more about Ireland educational system. 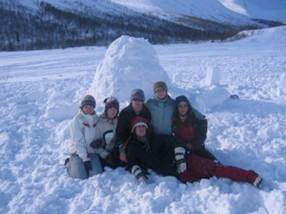 In 2006 Kirovsk received guests, a delegation of teachers and students from Northern Ireland. Our guests appreciated a chance to take part in Eskimo Games. In 2007 Kirovsk sent another delegation across the Atlantic Ocean.